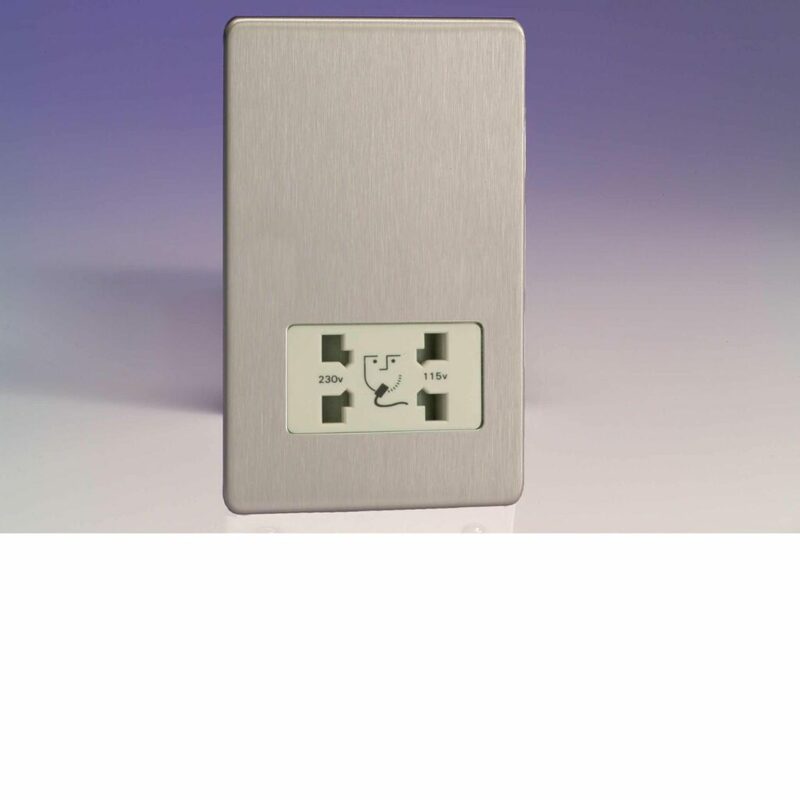 Varilight 45A Dual Voltage Shaver Socket in the Dimension Flat Plate Screwless Range complete with white insert. These sockets have been fully designed to meet the latest European Safety Legislation. Please note picture shown, shows the socket in a brushed steel finish.